The NSSA Is proud to be working with Snowsport England on National Schools Snowsport Week. A campaign delivered by Snowsport England’s Youth Development Committee, aiming to increase school participation in snowsports and grow membership. Following 2016’s year’s pilot SSE are delighted to announce that National Schools Snowsport Week will be delivered again on Monday 24th – Sunday 30th April 2017. 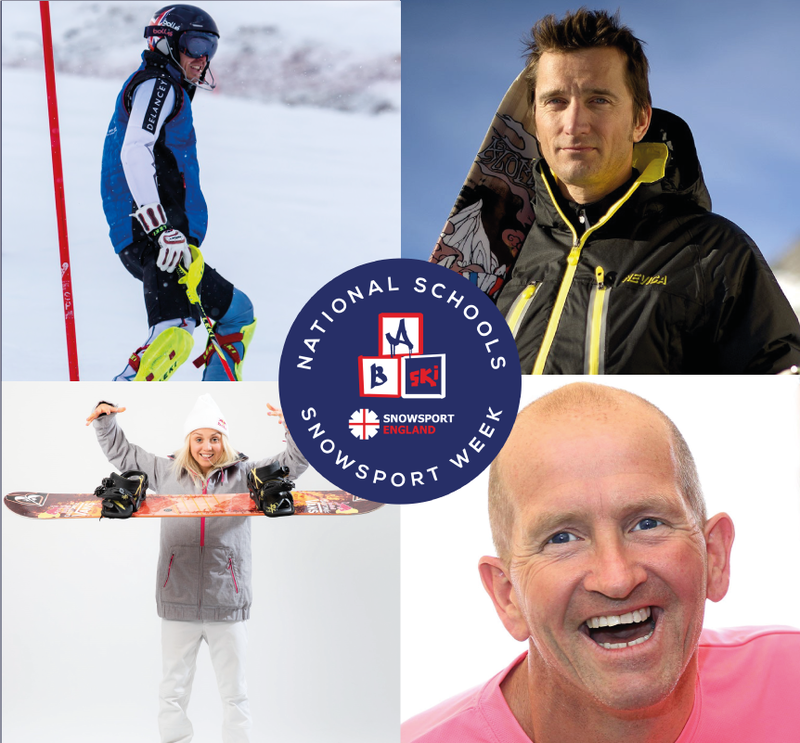 National Schools Snowsport Week is backed by Winter Olympians Eddie ‘The Eagle’ Edwards, Dave Ryding, Aimee Fuller and Graham Bell and gives all children and schools the chance to have a go at skiing or snowboarding without cost being a limiting factor. For some school children, it will be their first time on skis or a snowboard. For others, it could be an opportunity to try racing, freestyle or ski/snowboard cross. For all, we hope it will be an enriching experience, which will help more young people to become more active and build positive attitudes towards sport and physical activity. Check if your coach is insured!